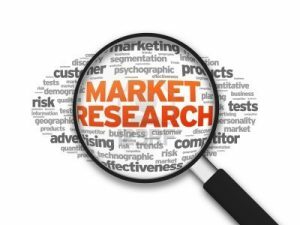 Applied Marketing Research, Inc. is the place to come for information and actionable results that will insure customer satisfaction and help your business succeed. A full-service market research firm, Applied was established in 1993. Applied’s staff excel in the process of global marketing research and customer marketing. Applied researchers respond quickly to client needs for information and are totally committed to high quality research and systems. Combined with practical hands-on experience in marketing and sales management, Applied offers a unique blend of theoretical and real-world expertise. Applied has completed both business-to-business (B2B) research and business to consumer (B2C) research for many Fortune 500/Global 1000 companies across an array of industries. These industries include advertising, energy, packaged goods, lawn and garden, non-profits, beverage, automotive (and after-market parts and products), transportation and distribution, computers, mobile devices, software, animal science, agribusiness, food service and restaurants, education, entertainment, financial services, insurance, healthcare, and construction. Our clients include John Deere, Colgate Palmolive, Coca Cola, Microsoft, Toyota Motors, Honda Motors, Pfizer, H&R Block, Toshiba, Hewlett-Packard, Canon, Yamaha, Sprint, ConocoPhillips, British Petroleum (BP)/Arco, Union Pacific Railroad, ITW Professional Brands, YRC Freight, and Hallmark. Applied provides quantitative and qualitative marketing research services. Applied conducts business-to-business (B2B) research and business to consumer (B2C) research. Applied has worked with many Fortune 500/Global 1000 companies. 2017 © Applied Marketing Research, Inc.